Inspired by a photograph taken during a visit to the island of Iona, Scotland, this window design is reminiscent of windows found in churches and cathedrals all over the world. This vignette provides an evocative pattern reminiscent of the holiest of Christian nights and the wonder of nature found in the lines of the setting sun and the three stars shining above. 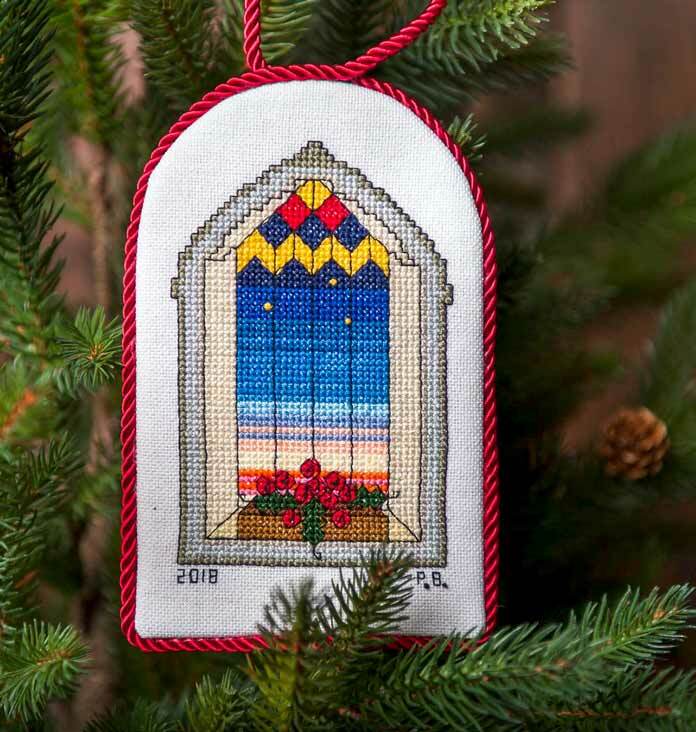 Rather than an ornament as pictured, this design would be equally at home in a Christmas card or small frame for proud display throughout the holidays.